One brand of chocolate doesn’t become safe simply because she tried a piece last week and was fine. It doesn’t permenantley crown that brand ok for us. That bar, on that day going down that conveyor belt was safe… the next one could easily contain the dreaded peanut – and for us that’s a serious matter. It’s like a game of Russian Roulette that I don’t want to play. Along with the peanut and hazelnut risk chocolate mostly contains soy (which we avoid as a health preference) and a bucket of sugar. She has had the odd little piece here and there but I find myself ‘hawk-eyed’ on her to ensure she is ok.
My found alternative is far safer for her, easier on my nerves and sooooooooo much better. It’s Jo Whitton’s chocolate recipe from her blog Quirky Cooking. From memory (see the link above) the recipe calls for cacao butter, cacao powder (do not confuse with cocoa), maple syrup or honey, salt, vanilla. Very simple, clean.and nothing too scary. It sets lovely and keeps in the fridge. It sits ok on the bench but in a Brisbane summer I wouldn’t trust it. 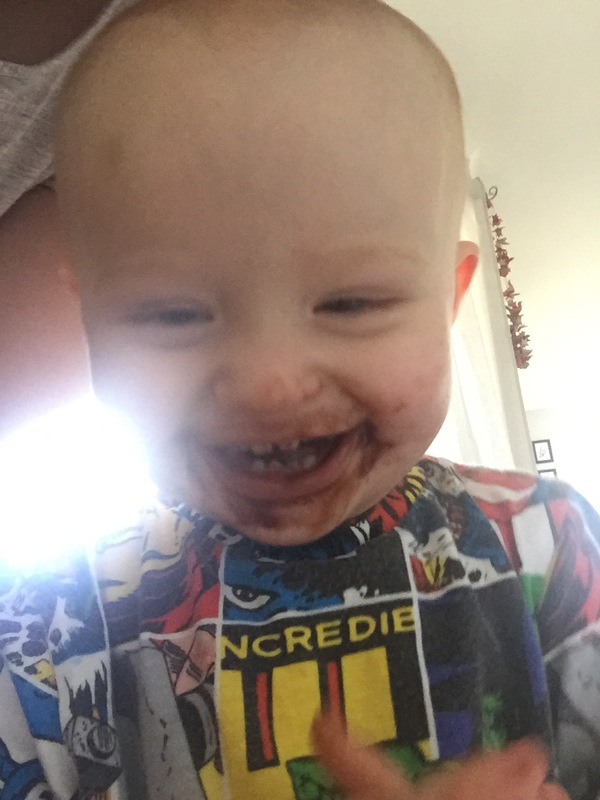 Bonnie devours it with that deep smile that can only come from a mouthful of chocolate. We have a zero risk of nuts and zero processed sugar, reduced overall sugar and no soy! This is in fact dairy free too. I have some to a friend who said it was up there with Lindt standard so that’s saying something. That’s the basic plain recipe but you could start jazzing it up by pouring it over dried fruit or adding peppermint or rose…or my current favourite dried orange slices. 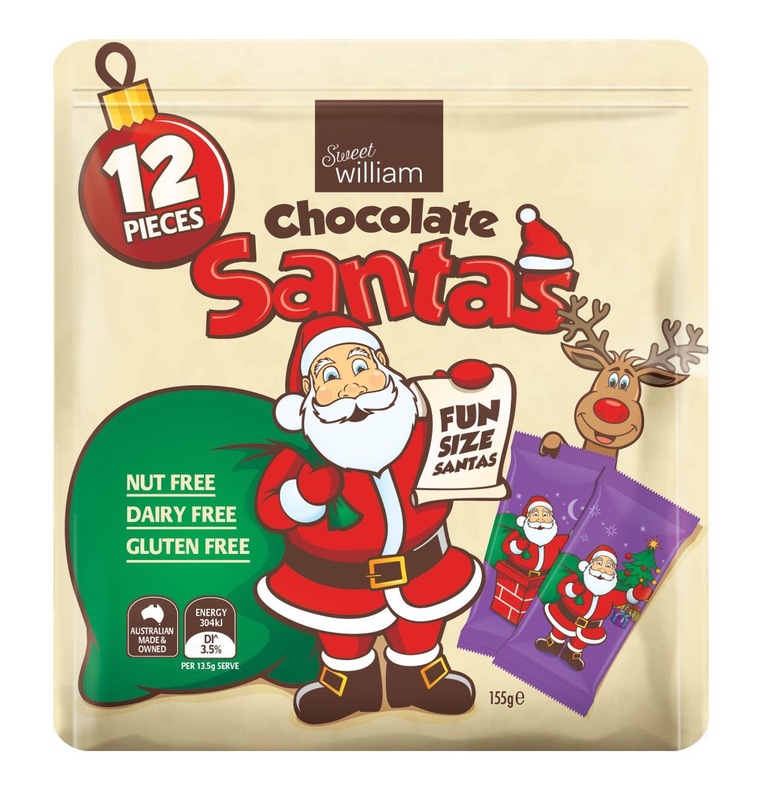 I did see that the brand Sweet William is producing a ‘christmas’ chocolate that is nut, dairy and gluten free (the gluten coming from the glucose syrup derived from wheat.) At Easter time we got their bunny ones and it was nice to have something else in the mix but they do contain soy and an awful lot of sugar.. we found them incredibly sweet.